One brilliant idea, two Italian factories which carried out its realisation while reconverting the production in the immediate post-war period. Origin of two myths. Exported into 120 different countries, and today celebrated all around the globe. Meridianosedici has in its collection eight elements of both labels from the years between 1953 and 1963, in excellent conditions. 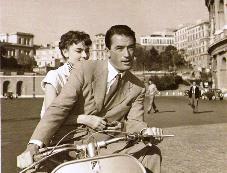 Both vehicles pride themselves with extraordinary testimonials in movie history: the Vespa with Audrey Hepburn and Gregory Peck in the unforgettable “Roman Holiday”, the Lambretta with Gina Lollobrigida and Rock Hudson in the less known “Come September”. 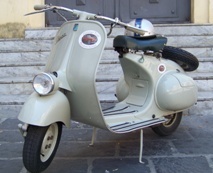 Take the Vespa, a captivating style icon, or the Lambretta, a challenging masterpiece of technique and efficiency: both of them represented for the young generation of the 1950ies and 1960ies an aesthetic ideal and an emblem of progress and growth. 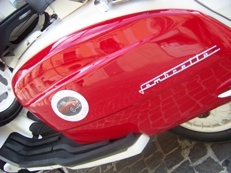 Piaggio introduced the first Vespa in 1946, drawn by the necessity to reuse the leftover warplane wheels on their stock. Corradino D’Ascanio was entrusted with the project. 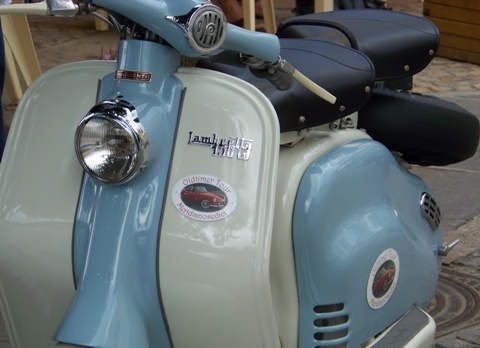 Only one year later, in 1947, the company Innocenti launched their first Lambretta – named after the town Lambrate and the Lambro river near the factory. Also they were motivated to clean up storage halls, in this case, full of pipes that had been used for artillery segments, involving Pierluigi Torre for engineering. 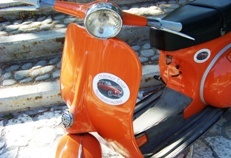 The Lambretta production ceased in 1971. There’s another curious fact that both stories have in common: Corradino D’Ascanio (Vespa) was a Flight Engineer and Pierluigi Torre (Lambretta) worked as an engineer in the corps of the Aeronautic Experimental Centre. Perhaps due to this fact both scooters were said to have “wings”.